Where? 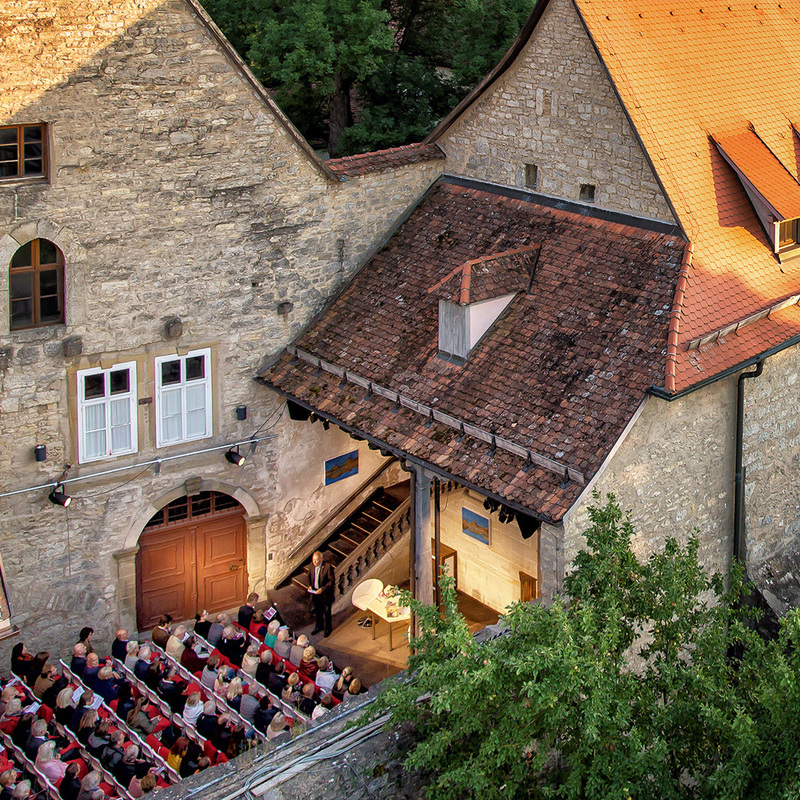 Toppler Theater is an open-air theater found in a cozy corner of the former Dominican cloister that is today the home of Reichsstadtmuseum. 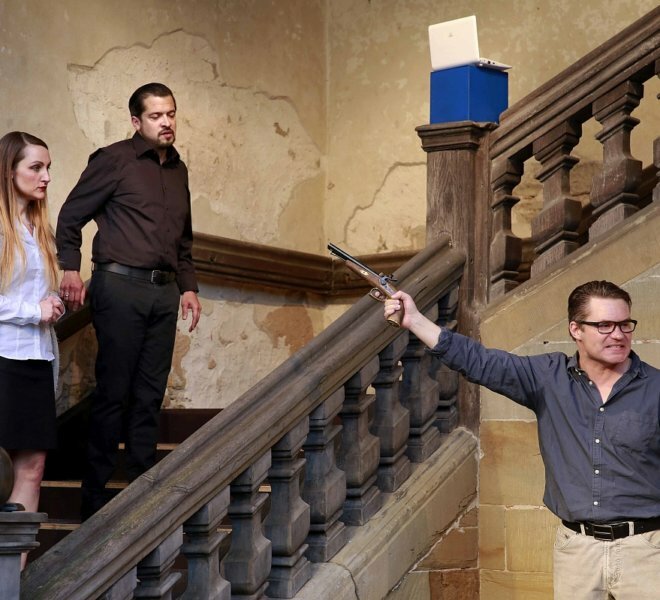 The plays are in German. What? The two main plays performed each summer season are in-house productions. The audience area seats up to 138 people and is a wonderful place for experiencing culture up close. 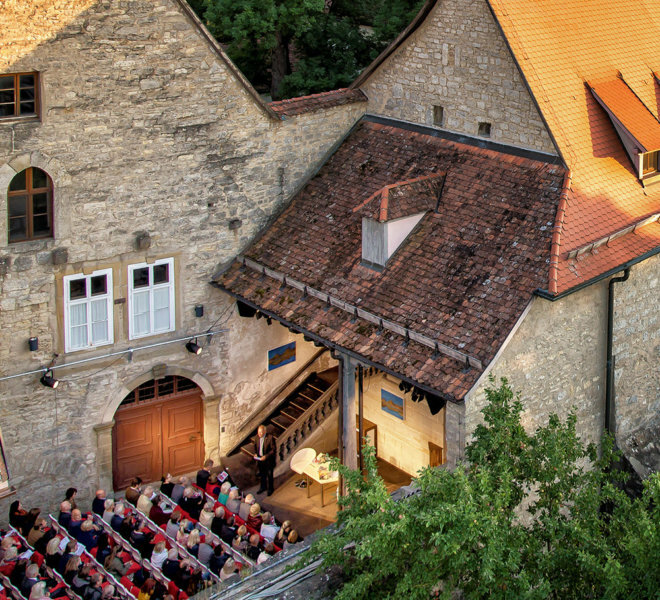 The open-air stage is captivating with its historical banisters, fabulous city wall, and more than four ascents and descents. Prominent names to have graced the stage or directed here include Petra Kleinert and Gerit Kling. Famous plays include Wir sind mal kurz weg by Tilmann von Blomberg and Bärbel Arenz and The 39 Steps by Alfred Hitchcock and John Buchan. 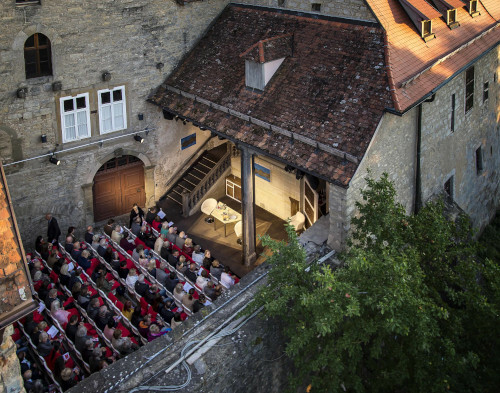 Fun fact: 2019 will be the 12th season for the Toppler Theater. Be sure not to miss: In addition to the two main plays of the season, there are also wonderful guest appearances to see. Regular guests are the players from the Hans-Sachs-Spielen.